SET-FREE Water-source multi-split air conditioning system successfully combines water-source control technology, multi-split control technology, DC inverter-driven technology and environmentally friendly R410A refrigerant, blends the technical advantages of air-cooled multi-split inverter-driven air conditioning and water-cooled chiller unit, and takes advantage of low-grade heat such as ocean, soil ,industrial waste and municipal wastewater to realize cooling and heating, then greatly saves energy. Aiming at the high pressure features of R410A refrigerant, Hitahci applied the cutting-edge large capacity scroll compressor to SET-FREE energy conservation pioneer series commercial air conditioning systems. 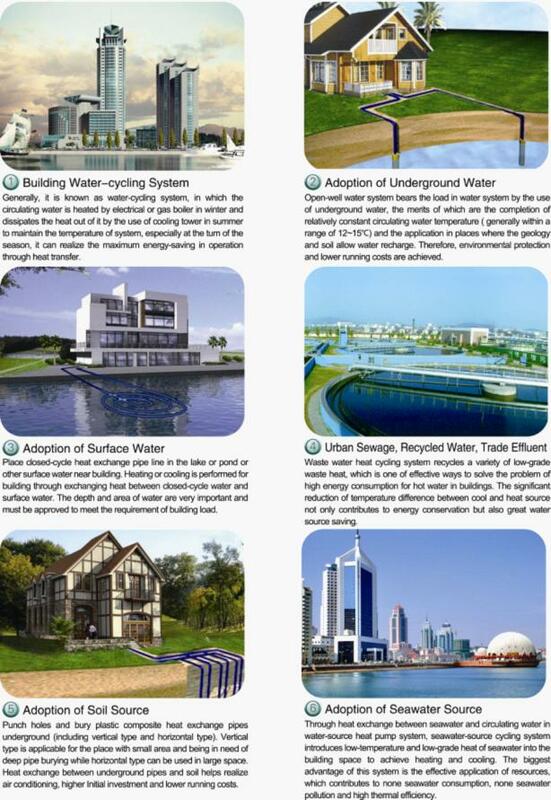 The adoption of water-source multi-split air conditioning system is free from conventional low-temperature climate and geographical constraints, it can be widely used in the following water conditions and also be used in combination with other energy sources such as solar and other new energy. 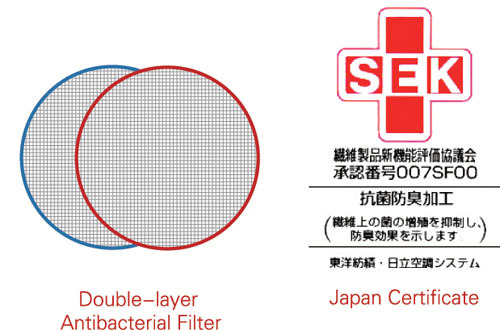 SET-FREE WS series central air conditioning integrates inverter-driven technology with water-source technology. Through all the aspects of optimization design, a high COP value can be maintained in a larger operating range of cooling and heating. It takes water that is cooled indirectly as the refrigerating medium, which leads to more energy loss in process of two times heat exchange. Middle-and-low-temperature water(10~45?) is flowing in waterside pipeline, which results in less loss in intermediate links. Furthermore, a direct evaporation technology of refrigerant is applied in indoor units, which avoids heat exchange efficiency decrease caused by secondary heat exchange and greatly enhances COP value in air conditioning system. Actually ,it takes very short time for central air conditioning system to operate under full load, generally accounts for only 1 to 5% of the running time of a year, most of the time units are running under partial load. Therefore, overall energy efficiency coefficient under partial load is the most important factor for energy-saving measurement of air conditioning. As for conventional centralized water source heat pump units ,the range of adjustable capacity is very limited. Besides, circulating water pumps, water treatment equipments or other auxiliary facilities with poor regulation result in more energy consumption and lower efficiency, especially under the partial load. 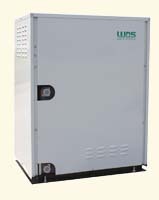 Water-source inverter-driven multi-split air conditioning system adopts a combination design of Inverter-driven regulation and multiple compressor ON/OFF, which significantly improves the partial load COP values and overall energy efficiency coefficient IPLV value, particularly in partial load use, more power and more economical operation fees are saved. 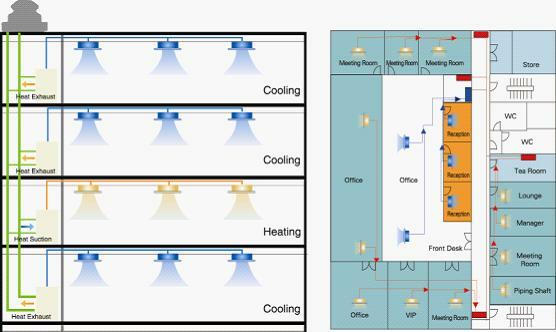 The requirement of simultaneous cooling and heating operation has been increasing due to the large modern building with complex structure, function and more demand for comfort ,especially at the turn of the season or in winter. Conventional central air conditioning system consumes more energy when cooling and heating coexist. 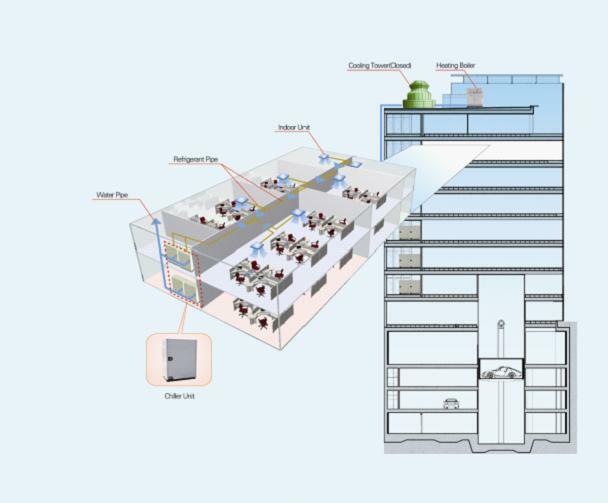 SET-FREE WS series divides space into interior and exterior sections, easily satisfies the requirement of simultaneous cooling and heating in the same building, realizes heat recovery and maximum energy-saving. Firstly , A Wide Selection of Indoor Units, Free Combination. Secondly, Flexible Placement Greatly Improves the Utilization Rate of Space. SET-FREE WS series can achieve rapid startup and cooling/heating, which helps reach the setting temperature in a very short time .In contrast, conventional centralized water source heat pump system changes temperature more slowly because of its large-scale system.